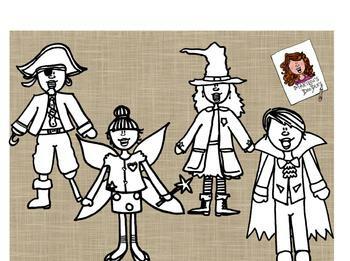 This Costume Parade bundle includes all the doodles shown in the picture. Each image is saved in it's own file (png). *Color version available soon. Stay tuned!